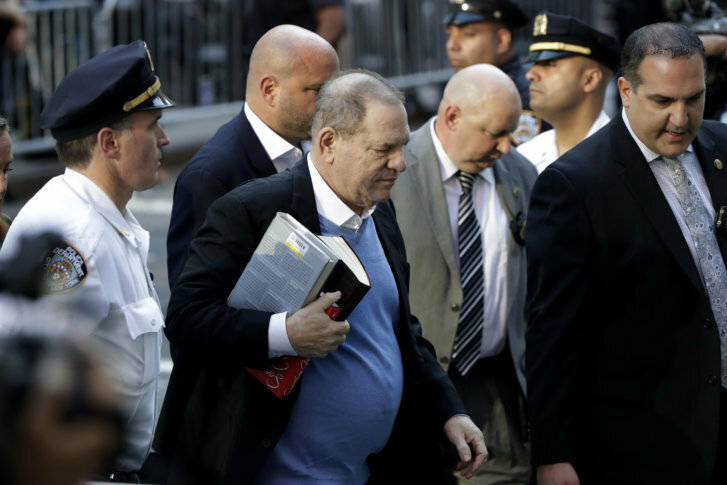 NEW YORK (AP) — It was the moment the #MeToo movement had been waiting for: Harvey Weinstein in handcuffs. Asked about the raft of other allegations against Weinstein, Brafman said the case was a question of crime, not bad behavior. Weinstein was released on $1 million bail, with constant electronic monitoring and a ban on traveling beyond New York and Connecticut. But there were rumors in Hollywood for years about Weinstein’s pursuit of young actresses. And in 2015, an Italian model went to New York City police and accused him of groping her during a meeting. Associated Press writers Jennifer Peltz, Jake Pearson and Jocelyn Noveck contributed to this report.